In a sense, BookCrossing is like a library. However, the check out procedure is a bit unusual and there are no fines levied for books that aren’t returned. 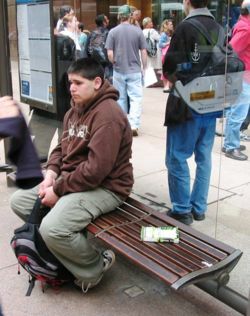 Bookcrossing.com was started in 2001 by a Kansas computer consultant named Ron Hornbaker. His aim is to “make the whole world a library.” His idea? 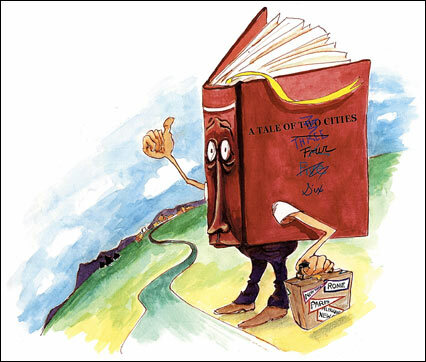 Leave books in public places where they can be picked up, read and then passed on to other readers in the same way. The innovation was to provide a site where you could track your book on its journey. BookCrossing claims to have almost 600,000 participants in over 130 countries. Here’s how it works. You sign up to become a BookCrosser. You receive a set of labels for books you send on journeys. Each label contains a unique BookCrossing ID. The label provides readers who pick up your book with a web address where they can log in its current location and any comments about it they want to share with others. When a reader finishes the book, the hope is they will leave it in a public place for another to continue the journey. 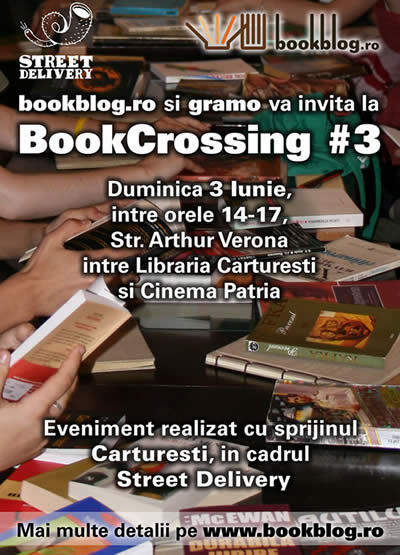 As BookCrossing has grown, it has spawned events where BookCrossers can meet, exchange stories and trade books. One such event was recently described by Toby Lichtig in his post Bookcrossing’s mobile libraryin the Guardian Unlimited. He discussed some of the dismay and uncertainty booksellers feel about BookCrossing. What strikes me about the BookCrossing concept is that it might be an interesting book marketing device for new titles or those gathering mold on the backlist. It can be difficult to sustain a buzz going about a title. Following a book as it travels from reader to reader and getting reader reviews in the process can revive flagging book sales and expose readers to new books they might not have been aware of previously. This entry was posted in book marketing, readership strategies and tagged bookcrossing, Ron Hornbaker, Toby Lichtig, visual tagging. Bookmark the permalink.